Who’s ready for summer? Days spent basking in the sun, lounging at the beach or pool and watching your kids splash up a storm? Nights spent watching movies and playing games with the kids? And no need to worry about hassling them to do their homework or packing school lunches. We may still have one school term to go but we can almost taste the relaxation that comes with summer! 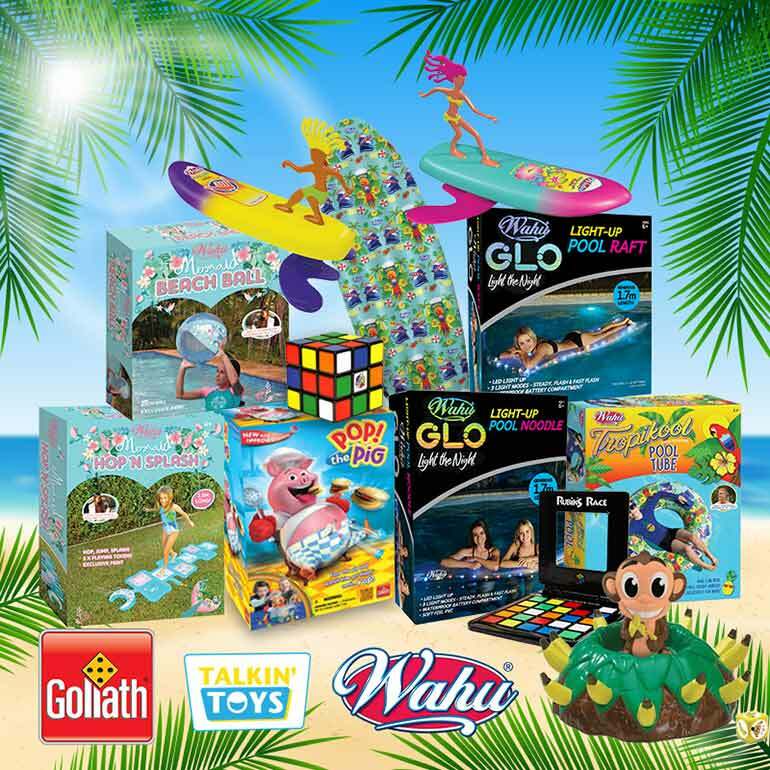 Thanks to Talkin’ Toys & Goliath Games, you can kiss the school year goodbye with a prize package that makes your holiday season even better. 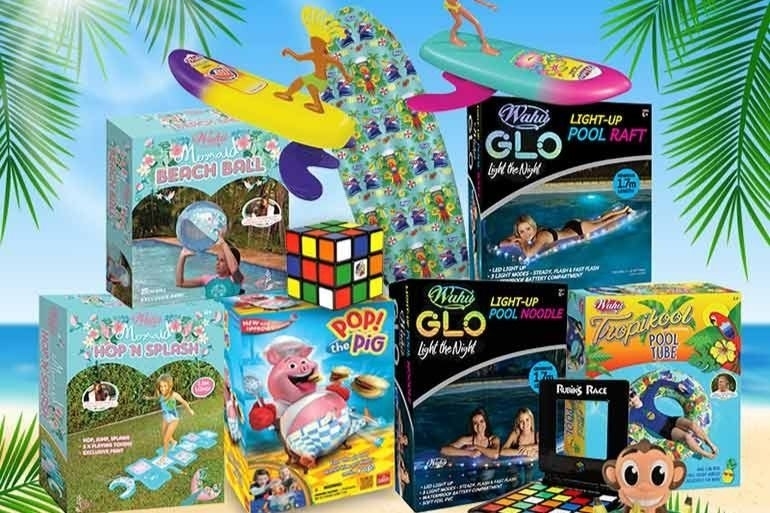 And one that is suitable for the whole family including Wahu water toys for those days spent at the beach, creek, lake or pool, plus a whole stack of board games too. Wahu GLO Pool Raft – What’s better than a floatie in the water? How about one that lights up in the dark? My kids would get a kick out of this, especially for night swims. Wahu GLO Pool Noodle – Compliment your raft with a glowing pool noodle, another must-try pool toy. What we especially love about the GLO range is how they are great gifts for teens and even adults. Night time pool party, anyone? Wahu Surfer Dudes – Catch a wave with these cute little surfers, including Gold Coast Gabi and Wollongong Will. Wahu Mermaid Cove Beach Ball – BYO Ball! You can with this versatile and durable beach ball, perfect for all ball games. Wahu Mermaid Cove Hop n Splash – For laughs outside the pool, you can’t go past a round of Hop N Splash, the water-friendly version of Hop Scotch. Ideal for girls aged 6-13 years, Mermaid Cove products are perfect for pool parties, especially if you have a group of little ladies to entertain! Wahu Tropikool Tube – Funky and comfy, the Tropikool Tube offers you a prime place to park your tush and bask in the sun. Wahu Tropikool Malibu Raft – Prefer a more vertical position? The Tropikool Malibu Raft has your name on it! Outdoor entertainment done. But what about those rainy summer days or nights in? Don’t worry – Goliath Games and Talkin’ Toys have stacks of board games to keep the boredom away. Rubik’s 3×3 – It’s the classic Rubik’s cube, but with a smaller grid (3×3) making it ideal for the younger audience. And adults like me who have been trying to solve a standard Rubik’s cube for 30+ years and still can’t figure it out. Pop the Pig – Who can say no to a round of good ol’ fashion pig popping fun? This is a great one for parents to play with their little ones – expect some seriously sweet belly laughs when the pig’s tummy pops! Banana Joe – Another action-packed game for your little warriors, this jungle-themed dice game is fun for all. 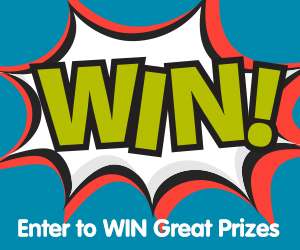 Take advantage of this awesome prize and enter today! You can find out more about the toys and games on offer and browse through the huge range of other games over at Goliath Games and Wahu. For more gaming fun, subscribe to the Talkin’ Toys’ YouTube channel and see these toys in action! So how do you get your chance to grab all these toys for your kid? 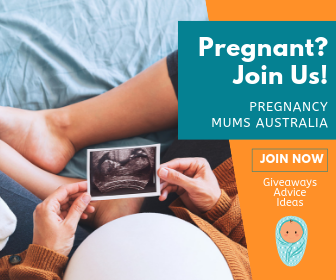 Simply fill out the form below to be in the running to win! If you go in the water in a river you have to wear specially designed flotation devices that meet specifications for use on the river. NOT flotation devices do. The lady who is supposedly on a river has no device on at all. cheers for having great products. Thank you for all your amazing comps, and Prizes!!! makes the kids ( and parents/adults) very happy if they won. What a fun prize for the kids (and adults!) and great inspo to get outdoors and into the sunshine this summer!